In the FA Cup, English Premier League teams Bournemouth, West Bromwich Albion and Stoke City all bowed out to lower-league opponents while Arsenal needed second-half goals from Aaron Ramsey and Oliver Giroud, the Frenchman netting late on, to wipe out Preston North End's halftime lead. English Premier League teams Bournemouth, West Bromwich Albion and Stoke City all bowed out to lower-league opponents while Arsenal needed second-half goals from Aaron Ramsey and Oliver Giroud, the Frenchman netting late on, to wipe out Preston North End's halftime lead. Third-tier Millwall, Cup finalist in 2004, caused the biggest shock by thumping a much-changed Bournemouth 3-0, West Brom went down at home to Championship team Derby County 2-1, while Wolverhampton Wanderers, also from the second tier, ensured Stoke lost in the third round for the first time since 2009 by winning at Britannia Stadium 2-0. 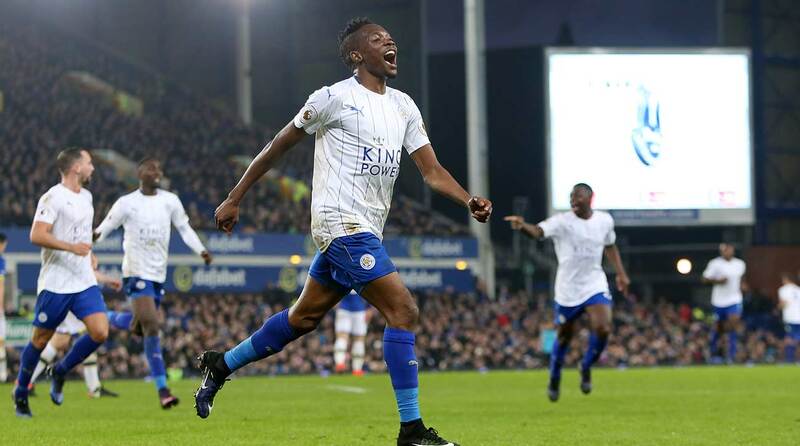 In all-Premier League matches, Ahmed Musa scored twice as Leicester fought back from a goal down to defeat Everton 2-1, while in the battle of the new managers, Marco Silva saw his Hull side get the better of Paul Clement's Swansea 2-0. Silva, appointed on Tuesday in place of the fired Mike Phelan, would have noted the large number of empty seats at Hull's KCOM Stadium with home fans staying away in protest against the club's owners. Non-league sides Sutton United and Lincoln City earned replays but there was no fairytale for the lowest-ranked team in the competition Stourbridge as it went down at Wycombe 2-1. Arsenal preserved manager Arsene Wenger's feat of never having lost a third-round match, but the Gunners did it the hard way. After their dramatic comeback from 3-0 down to draw 3-3 at Bournemouth in midweek, Arsenal started slow again as second-tier Preston fully deserved its halftime lead. But whatever words Wenger barked during the break, they had an immediate effect with Ramsey rifling in an equalizer 50 seconds after the restart. Arsenal, 11-times FA Cup winners, six of which have come under Wenger's long reign, dominated after that but had to wait until two minutes from time to seal victory through Giroud. A turgid first half at Goodison Park was followed by an entertaining second as Leicester showed the mettle that made it English champion last season. It fell behind to Romelu Lukaku's goal on 53 minutes but Musa's equalizer was a rebound after he struck the post, and his second goal five minutes later was a fine finish after he played a one-two with Danny Drinkwater. Tom Ince, son of former England midfielder Paul Ince, struck a fine winner to upset top-flight West Brom. The hosts led through a Matt Phillips long-range strike but Derby hit back in the second half as Darren Bent levelled and Ince curled home a superb free kick. Bournemouth made 11 changes from its last game and suffered an embarrassing defeat against a side in ninth place in League One.